Top Five Inexpensive 3-5 Cup Rice Cookers , mid-range cooker reviews, and high end cooker reviews. If you're thinking of going big, check out the 10+ cup cookers, or cheaper versions, or even cheaper versions. 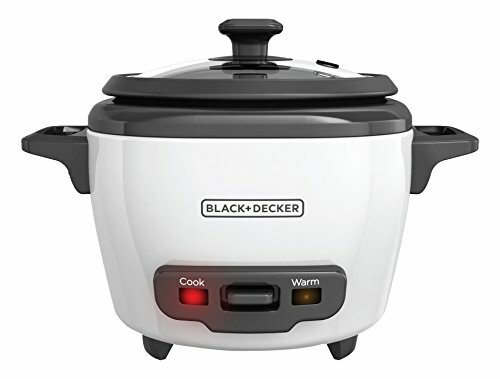 This first choice comes from Black and Decker and it is one of the few rice cookers that actually comes in a range of sizes. The version that we’re looking at here can be used for up to 3 cups of cooked rice but other versions go all the way up to 28 cups. There are also different indicator lights on this model, which show when rice is being cooked versus when it is being kept warm. In addition to being fairly low in price, this product also offers a keep warm function and a removable non-stick cooking bowl. 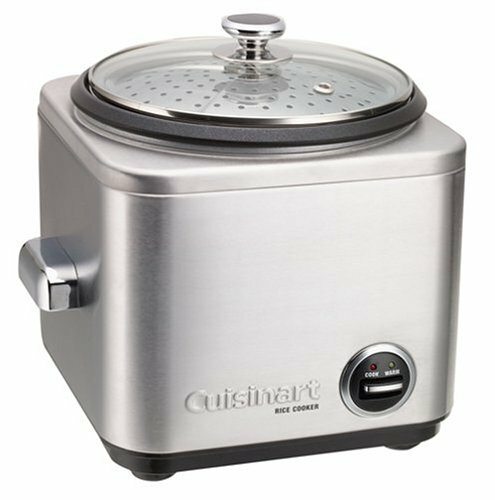 The removable bowl makes the process of cleaning up incredibly easy, which is one of the biggest advantages to having a rice cooker. All-in-all, this model offers an appealing balance of features and price, while the brand itself also has a fairly good reputation. This model is a little bit more expensive but part of that comes from the fact that it cooks up to 5 cups of rice, rather than 3. 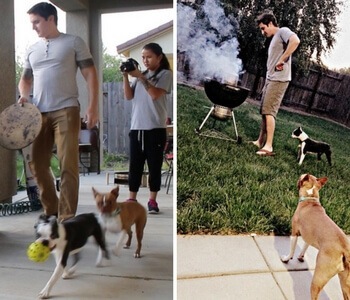 In this case, the cooking surface of the cooker is stainless steel, rather than nonstick. This design choice may make the rice cooker a little bit harder to clean but the stainless steel would be appealing for anyone who worries about the impact of nonstick coating on health. Likewise, nonstick coatings can sometimes affect the taste of food and this can be another reason to avoid it. This rice cooker is a fairly simple option and is a good choice for cooking a small amount of rice. In this case, the model uses aluminum as the main metal and this has a non-stick coating. Unusually, the manufacturer recommends that the model isn’t used for cooking brown rice. Additionally, rice should be cleaned before it is cooked. These recommendations might seem a little frustrating but aren’t likely to be an issue if you mostly cook white rice. One appealing thing about the rice cooker is that it has a glass lid. This design choice makes it easy to see the progress of your meal as it is cooking. 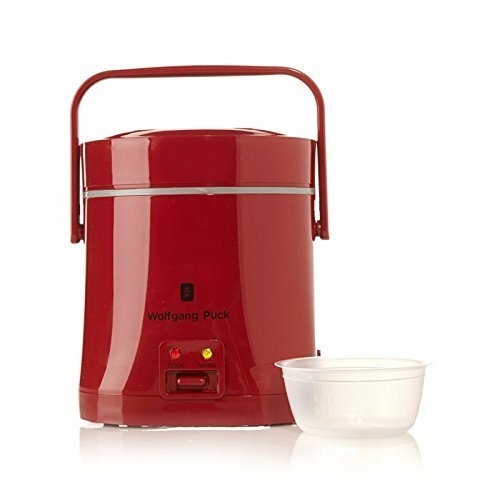 The product is also extremely easy to use, as you simply press the button to begin cooking and the rice cooker does the rest. This rice cooker is a little bit more unusual because it uses a steaming process to cook the rice, which is different than the other items on this list. This approach also means that the product can be used for steaming other types of food as well, including vegetables and meat. The unusual shape and design of the item, along with the glass lid are also appealing features and may be additional reasons to consider this model. However, the downside is that this model is more expensive than most other items on this list, although the price is still reasonable. This model is another unusual one, mainly because it is designed to be portable and seems to work well for that purpose. Nevertheless, the function of the product is pretty similar to the other items on this list, including the presence of indicator lights to show when the rice is ready. Likewise, the product does switch to a keep warm mode once the rice has finished cooking. Overall, the functions of this model are similar to the others on the list, although it is more expensive than them. However, the selling point of this particular choice is the portable nature of it. This would make it a good choice for going to picnics or camping. Likewise, the product may also work well for some more unusual situations, such as being homeless for a period of time. Picking the best rice cooker is always a little challenging because in many ways they all have similar functions. However, out of the options for this price range, we would recommend the Panasonic Automatic Rice Cooker. The main reason is that this one receives the best reviews on Amazon and those reviews offer a good indication of how well you can expect a given product to perform. 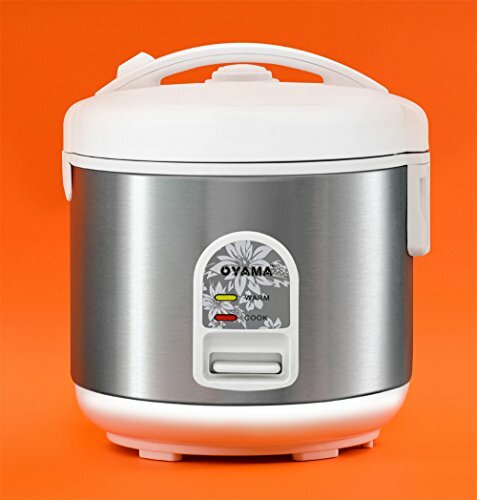 However, if you’re looking for a rice cooker that is a little bit larger, then we would recommend the Oyama Rice Cooker. 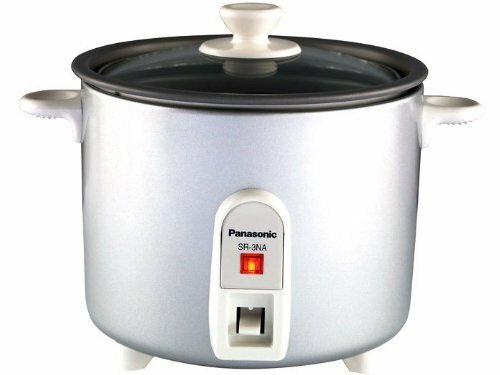 This one is a similar price and overall style as the Panasonic option but can produce up to 5 cups of cooked rice, rather than 3 cups.